When a symbol which occurs multiple times in a Visual Studio 2010 ribbon resource is renumbered, all instances of the symbol will now be renumbered rather than just the first one. 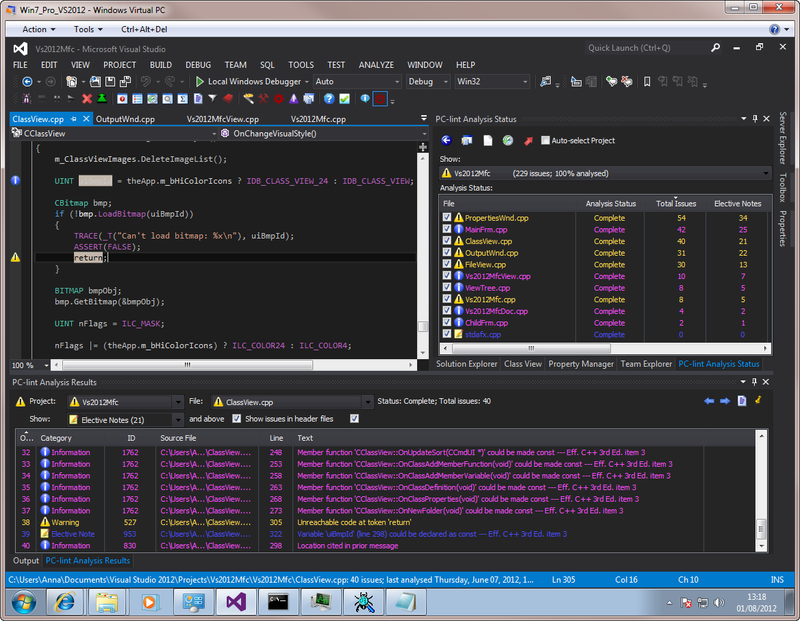 Added basic support for Visual Studio 2012. 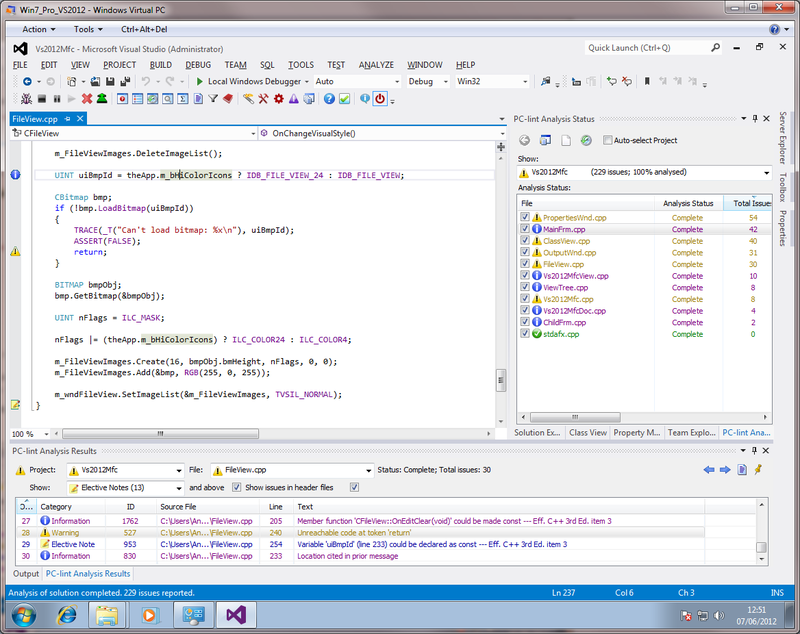 Note that this version of ResOrg does not include support for the Visual Studio 2012 dark and light themes, and instead uses the default operating system theme. Direct support for Visual Studio 2012 themes is however under development - please see Visual Studio 2012 theme support for details. Added basic support for Visual Studio 2012. 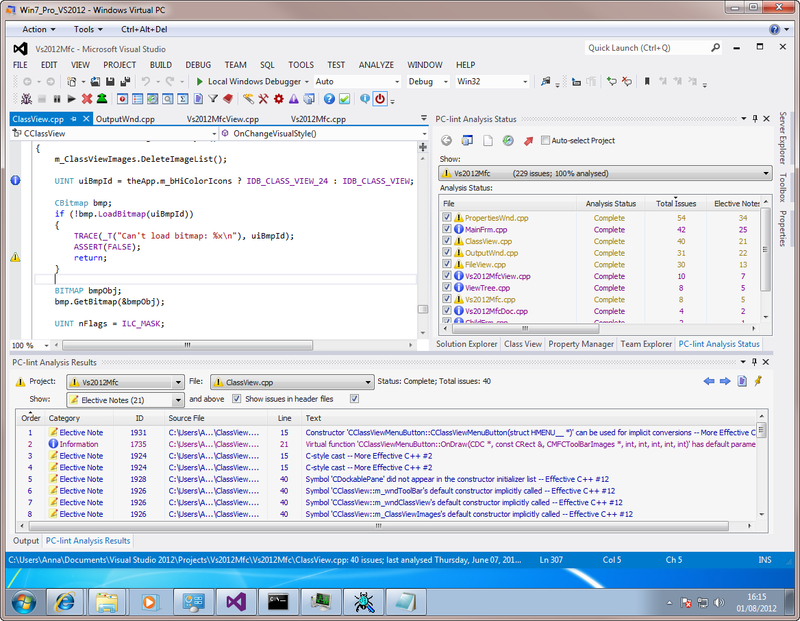 Note that this version of Visual Lint does not include support for the Visual Studio 2012 dark and light themes, and instead uses the default operating system theme. Direct support for Visual Studio 2012 themes is however under development – please see Visual Studio 2012 theme support for details. Added support for Green Hills Eclipse projects. 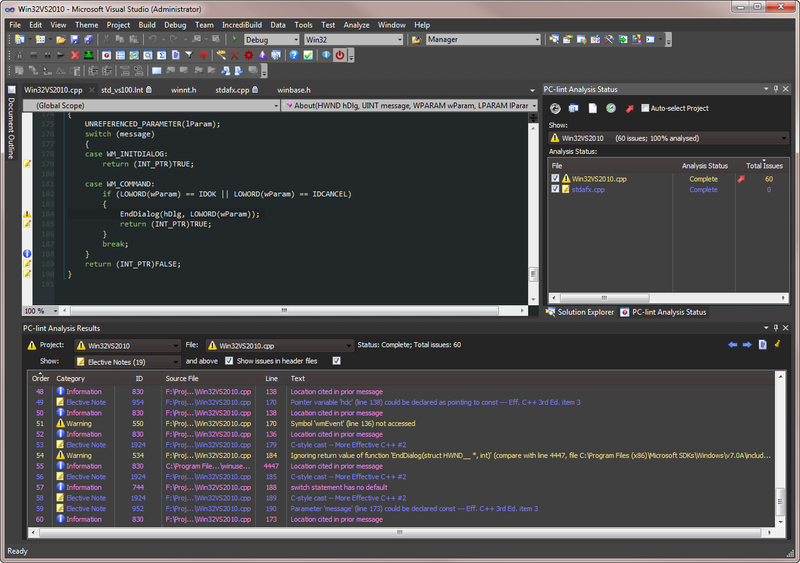 Fixed a bug in the handling of "excluded from build" properties in Eclipse/CDT (.cproject) project files. Fixed a bug in VisualLintConsole which affected the writing of updated analysis reports after analysis tasks had completed. VisualLintConsole will now report an error if an analysis run is attempted before the appropriate analysis tool has been configured. ...but: what's a virtual launch event, and (more importantly, for those who regularly attend such events) does it entail free stuff? We've been working on support for the new IDE version in the Visual Lint development branch since February, and quite honestly with all of the IDE changes it's been like pulling teeth (a different sort of teeth from the bloated buggy ones we pulled while working with the VS2010 beta, but teeth regardless). Although there's no word yet on whether the RTM is any less grey than the RC (though the smart money says they're not listening, thankfully it doesn't look like the Beta anymore) it's a done deal either way, and as such we're stuck with it until the next fad (Metro++ ? Metro# ?) comes along. Regardless of how the RTM ends up looking, we will be releasing Visual Lint 3.5 and ResOrg 2.0 builds compatible with it as soon as we can confirm that the RTM does not require any code changes over the VS2012 release candidate (which we have already tested against, obviously). Note that this version will not (yet) include support for Visual Studio 2012 themes - dropping that particular bombshell on us at beta in February was just too short notice to develop and test the control and framework changes necessary to do this in time for the RTM. However, theme support is being actively worked on in our development branch (see http://pic.twitter.com/DfGoTeD3) and will come later (more on that in the next blog post, with a possible CodeProject article as a nice spin off).